Every second thousands of users all over the world are making payments online on different ecommerce websites or mobile apps. And if we define it in the form of a map, we will get the picture entitled "A view of the Earth from space by night". There is no need to have a crystal ball to predict the future of online payments because the numbers speak for themselves. The global non-cash transaction volume in 2017 reaches almost 500 billion. It is therefore not surprising that every year new online payment processors are added to the already long list of existing ones. 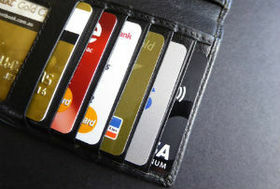 Still, there is no a one-size-fits-all way to accept credit and debit card payments online. Users' preferences change over time, from one country to another, and they also depend on a device with the help of which customers visit sites. Our previous article contains information on how online payments work. In today's article: what do you need to know and what to expect when you are choosing a merchant payment processor (also known as a payment gateway) for your ecommerce website. If you want to accept payments online you have two options: setup and customize every payment system yourself - to get approved for a merchant account by banks, figure out how to integrate a payment gateway into your shopping cart… or you can use services of third-party payment processors where everything is included. How to know which merchant payment processor is right for you? The Internet is full of payment processors, however, the wide choice can only confuse you more. Somebody gravitates towards a payment processor with a successful work of its call-center, somebody focuses on the lowest rates, somebody makes a choice randomly. If you belong to people who prefer to make well-informed decisions you definitely will do your research. Since every business is unique, no wonder the payment solution that is perfect for one business is not an option for another. Let’s get this review of components to consider while choosing the best payment processor started. Where to begin? Fees, of course, as online payment processing is not free. Charges and fees. The first thing you should figure out is a fee structure of a merchant payment processor because every payment processing company has its own amount of fees. Usually, it is a transaction fee which percentage varies from 1,5% to 4% or even higher per transaction. Monthly fee, termination fee, gateway fee, monthly minimum volume fee, startup costs, additional charge for currency conversion, chargeback fees, and other additional fees can be found in fine print. Security. First to accept the credit card information on your website and then forward it to a payment processor you need an SSL protocol that encrypts the credit card details. Every payment processing company should have and must renew a PCI compliance certificate which is required by credit card companies to protect online transactions. For example, Authorize.net doesn’t offer PCI tools, whereas PayPal solution is PCI compliant. Another important element for the security of online payments is tokenization - the process of replacing sensitive data with a randomly generated non-sensitive equivalent. Micropayments less than $10. If you are going to accept payments less than $10 online, you should know about the minimum amount of money it is possible to process as well as about microtransactions/micropayments fee of the third-party payment processor you choose. For example, PayPal will charge you 5% + 0.05 USD. Experience in the market. Pioneers of the market have made their names synonymous with the stability and security. However, this doesn't mean that new companies are not reliable. Geographical capabilities. Some payments solutions are unavailable outside of the United States. For example, to accept international transactions with Authorize.net a business must be domiciled in the United Kingdom, the United States, Canada, Europe or Australia. Mobile-friendly checkout. You know how important it is for an ecommerce website to be mobile friendly so that a lot of potential clients with tablets and smartphones can view your site. Since shoppers are turning to their mobile devices to complete the purchases, check whether checkout process is mobile friendly. Multiple payment options. If your business entirely depends on your website with the payment processor that offers a limited number of choices you should think one step ahead. It’s totally fine to have 2 or 3 options to accept payments online. An increased fee of third-party payment solutions for small businesses is an adequate price for the speed of setting up and processing payments, for the opportunity to attract new customers of all ranges. 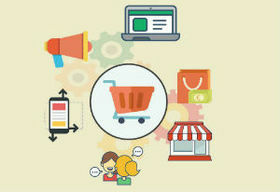 Getsocio ecommerce platform has a significant number of pre-integrated payment solutions that you can find here.